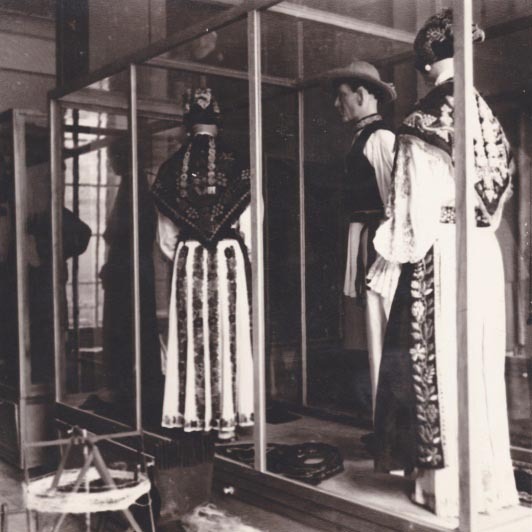 The Museum of Đakovo and Đakovština was founded in 1951. after a two-year preparatory period which had had a happy ending due to the enthusiasm of the few individuals who had been very much aware of the need to preserve a cultural properties of Đakovo and the surrounding area. 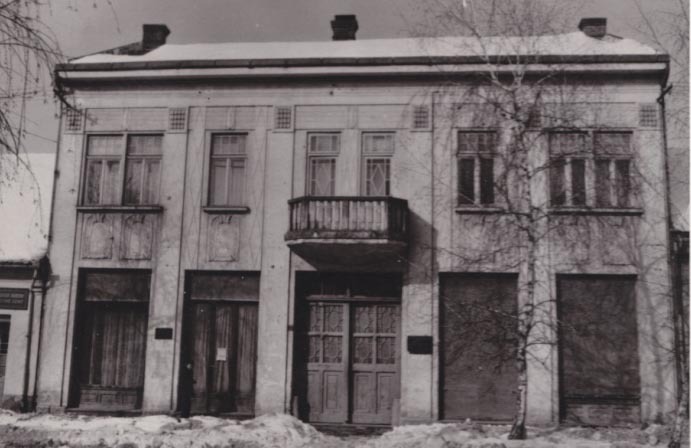 The first museum was situated in a Seccession- building with only 208 sq. meters and a very limited number of staff. Even in such inadequate and small facilities the first permanent exhibition was organised in 1952 and the most of the musem´s collections were estabilished (archeologic, ethnographic, works of art, numismatic and historical-and cultural) The library and the above named collections are the basis of a remarkeble holding of this museum with its few thousand items. 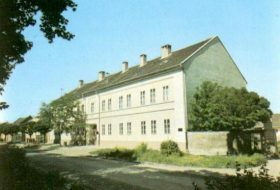 At the end of ht 1960-ties the museum moves to a new building, which was biult in 1857 by the bishop Strossmayer for the Framciscan priests from Bosnia. After having improved the sanitary conditions, the first permanent exhibition was opened in 1970 and within the next two years it doubled in size. 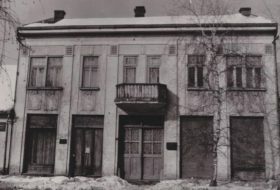 From the middle of the 1970-ties up to the period of the Patriotic war this museum was one of the most active and most prominent cultural institutions in Đakovo. 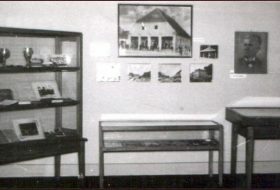 Numerous exhibitions took place, the number of items in the museum´s collections increased significantly, some officials took part in the most relevant cultural events of the town. «Đakovština»-publication was estabilished and published a few remarkable books. 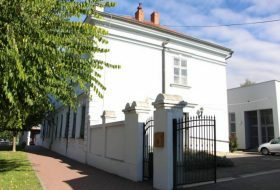 When the Patriotic war broke out all positive efforts to continue the development of the museum were in jepardy, so the Ministry of Culture orders the museum´s holdings to be moved to safer parts of Croatia. 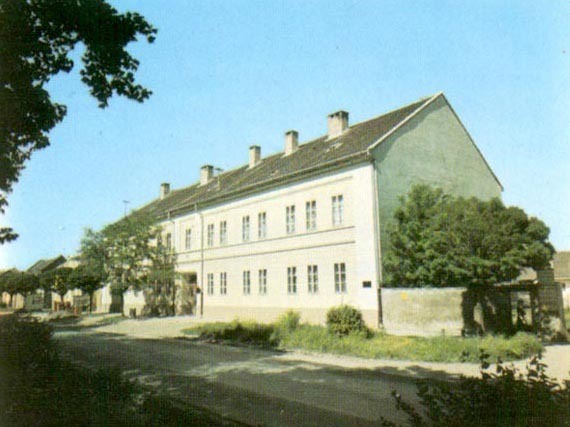 In the meantime , in May 1994 the museum had to give its former headquarters back to the Diocaese of Đakovo and Syrmia. 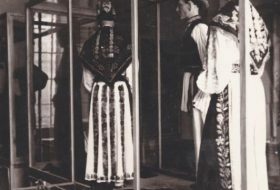 As a result, the facilities that the museum moved into after the war could not meet the lowest museum standards. 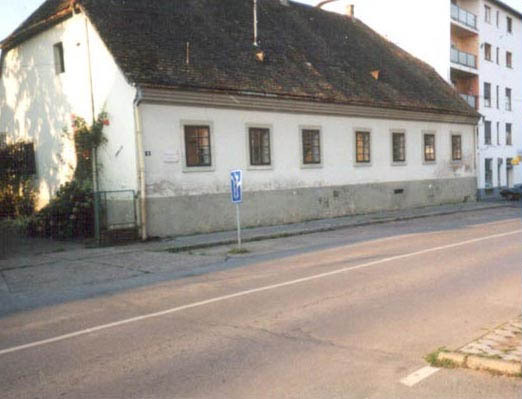 Although it was supposed to be a temporary solution, the museum stayed there until May 2002. 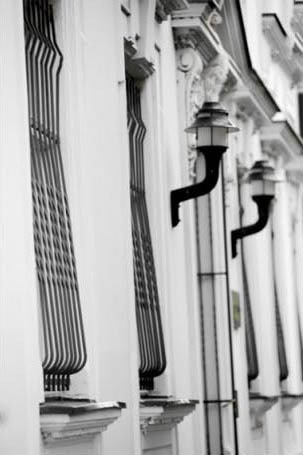 Then it moveds into the restored facilities of a former 19th-district administration centre in 34 Starčević Street. The interior of the museum is divided into studies and show rooms, the permanent exhibition room (which has not been finished yet), a multy purpose show room, whichj is at the moment the centre of various activities (exhibitions, concerts, lectures, book promotions). 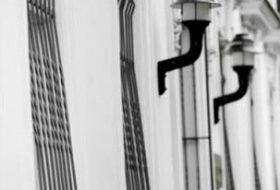 The building is surrounded by a large uncultivated yard which opens new possibilities for future activities. 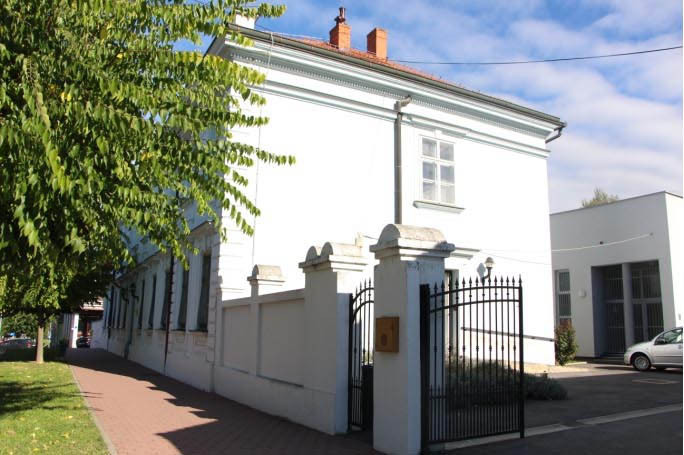 To conclude with: After 50 years of its existence the National Museum of Đakovština has finally got appropriate facilities where it can decently present rich cultural heritage of Đakovo and Đakovština. 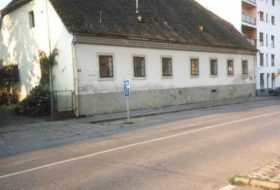 first building of the Museum of the Đakovo Region in the today’s Jelačić Street. 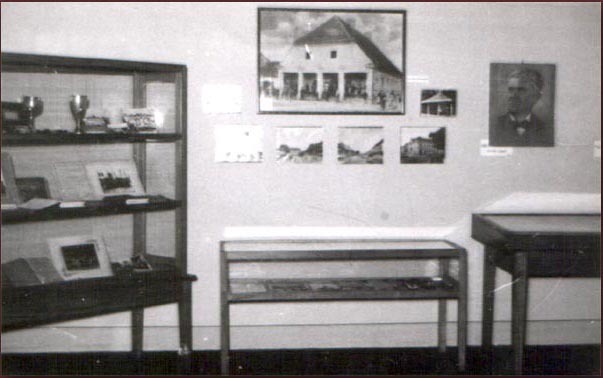 The second permanent exhibition of the Museum of the Đakovo Region. 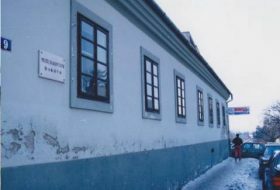 The building of the Museum of the Đakovo Region in the Preradovićeva Street 17. The Museum in Radićeva Street. 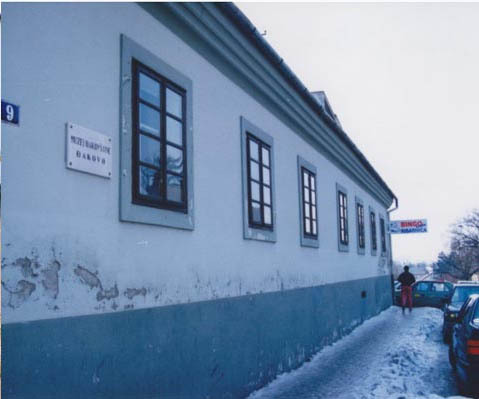 The today’s building of the Museum of the Đakovo Region in the Ante Starčević Street 34.